When starting a consulting business, the projection of your image and the benefits of your problem solving knowledge, as perceived by potential clients, are critical to your success. These two pillars, image and problem solving knowledge, are the only, yes the only ingredients upon which a consulting business needs to be successful. All else is in 99th place on your to do list. To start, I strongly suggest you obtain the highest quality business cards and a 4-color high-class brochure. This brochure should only focus on the benefits of your business in solving specific problems associated with your skill set. No fluff, just the benefits. Benefits focus on the client and not yourself. The potential client only wants to know, "What's in it for me." He or she does not care if you walk on water, only if you can benefit them by using your consulting skills. To stay focused, when starting a consulting business, I suggest you jot down a business plan, This can be as simple as a mission statement and notes on how to achieve the mission or as comprehensive as your personal style dictates. The point is to know the direction you’re planning to go and how to get there. With that as background, let’s get down to specifics. Networking is the basis upon which your consulting service is built upon. The bottom line is that you must do whatever it takes to get your first 6 consulting jobs! 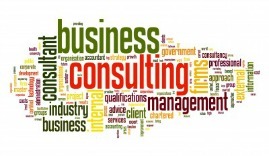 Starting a consulting business needs credibility. After these six jobs, the word begins to spread, and potential clients start calling you. NOTE: Consulting for a small business depends on your marketing. When in business, everything you do is marketing. When you stop marketing…you fail. Period. I have a client in Germany, a 58-year old woman, who had to leave her employer to take care of her parents. She is highly skilled in some aspects of manufacturing machine tools. Two years ago, she looked into how to become a consultant and then work part time. She did every thing right, except her friend-built website never generated any inquiries about her consulting business. Myself and over 40,000 other entrepreneurs use the Site Build It (SBI) methodology to build our businesses. 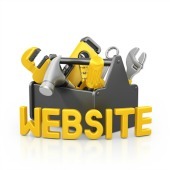 Most of us, including me, had no clue what-so-ever about how to build a good website let alone just a website. But SBI has all the tools and training I (and you) need to build a website that is also a business and it will get found! Everything is included in SBI and it is only $29.99 per month with no up-charges or price increases. If you don’t have the time to build a site yourself, then please consider having the #1 website builders on the planet build one for you. It almost goes without saying it, you need to be active in the social media like Facebook, Twitter, blogs, etc. At the very least, please consider being active in forums that relate to your consulting expertise. 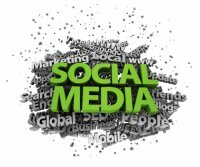 Social media is the new face of marketing being used by corporations worldwide to build their brand sales. 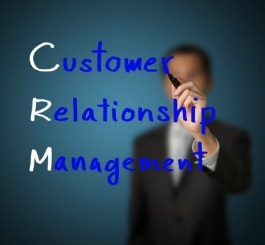 As you’re starting a consulting business, it takes awhile to build true relationships with prospective clients. Being active in professional meetings is a must. These meetings/trade shows have attracted decision makers who are predisposed to buying your expertise. Sitting on panels to show your stuff is a must. Working the attendees and giving out your cards builds relationships. You must force yourself (if not already comfortable) to take the initiative in walking up to individuals and small groups to start/participate in discussions. This has obvious long term benefits for your business. This is a time issue. But building your brand is necessary in just starting a consulting business. Search the Internet for forums that relate to your expertise. For purposes of an illustration let’s say you are a business insurance consultant. To find the correct forums in which to participate, just type “insurance forum” in the subject line of your browser. When you’re active in the right forums, you continue to build your brand and reputation. 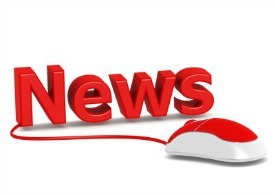 Another writing marketing tip is to write an ezine and submit it to different related ezine sites. These may be found the same way as you find forums. This free resource "Make Your Knowledge Sell" will help you focus your writing. I wish you all the best in starting a consulting business. If I may assist you in any way, please know that I want to share my skills with you and there is no charge. This is not a trick or some sort of come-on to get you to buy something. Nope, my service is totally free. Just click on my photo above to get in touch.